Touch&Know: Would You Test That Powder You Found in Your Kid’s Room? I’ve feared drugs ever since I was a kid and watched Eve Plumb in “Dawn, Portrait of a Teenage Runaway” on ABC’s after-school special series. “Dawn” even made me dread entering high school for the first time, because I envisioned all teenagers as glassy-eyed wastoids lounging against lockers with hypodermic needles dangling from the inside of their arms. I was a high-anxiety child. I never did turn “to the drug” or even experiment beyond your run-of-the-mill because I literally thought I would die if I took narcotics, hallucinogenics, or Tylenol. Thank you, “Dawn: Portrait of a Teenage Runaway,” which by the way, should be required watching for every pre-teen. Now, as a high-anxiety child turned high-anxiety adult, drugs still scare me. More because I’m hyper aware that kids are susceptible to its siren song, and that peer pressure is often a stronger drug than the drug itself (one startling study conducted by Columbia University showed that by the time they’re 17, 70% of kids say they’ve been offered illegal drugs). I’ve gone through the scenarios in my head. Decided how I will protect my girls, surveil them everywhere, and answer their questions about illegal substances (THEY WILL KILL YOU DEAD AND YOU’LL NEVER COME BACK! works nicely). I’ve researched the apps that will tell me where my kids are at all times, rehearsed speeches about “choosing the right path” and ordered the “Dawn” DVD for when the time comes. I want to leave nothing to chance. That’s why I recently attended an event to introduce the drug testing kit, Touch&Know, which will be very quickly added to my “teen preparation pack” always in progress. My oldest daughter is 10 now, and that prep kit will be stocked to the brim come the tween years. 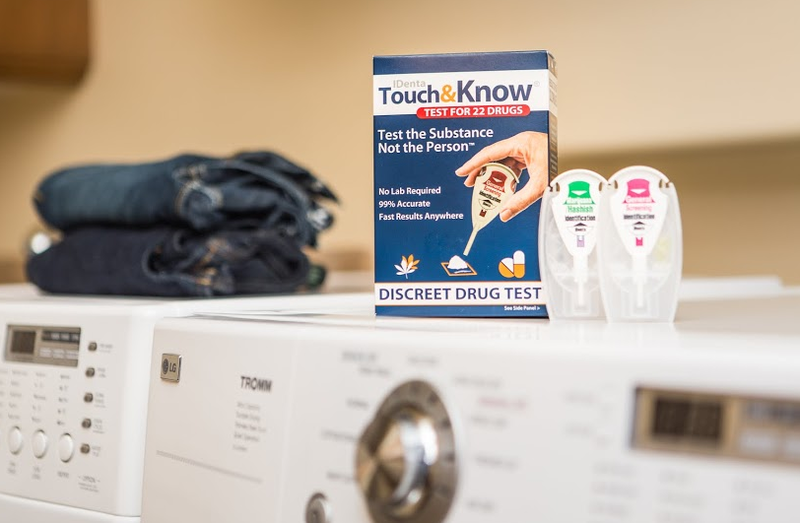 Touch&Know especially caught my eye because it’s used by law enforcement agencies, it tests for 22 kinds of drugs, including marijuana and Ecstasy, and it is used on the substance, not the person. So say, you found a smear of something on a bathroom counter or a nightstand, you could test it without having to confront your teen or ask them to breathe into a tube or pee into a cup. Touch&Know also tests liquids, so if you’re paranoid like me, and want to know if someone “roofied” your drink, you’ll find out quickly. Even so, the thought that kept at me as I attended the event, and watched the videos, which I’ll link below, is what if you DID find drugs in your kid’s room? What then? It will obviously be revealed that you were “snooping” and that you didn’t trust him or her (for good reason perhaps), but how do you explain that breach of privacy anyway? Also, what now? Do you enter your kid into rehab? Threaten military school? I’m very interested in the what comes after. I recently read an article about drug testing that helped me think through this area. The question posed to an expert was, “Doesn’t drug testing tell my teen I don’t trust him?” and the answer made a lot of sense to me. In a nutshell, the doctor responded that if you are suspecting drug use, you don’t trust your teen – in this one area. And it’s OK not to trust because drug use can get out of control quickly, with life-threatening results. If you’ve noticed a change in your teen’s behavior especially, drug testing is a safety measure, and you can explain that to him or her. Don’t get angry with what your child tells you, or the next time they won’t share with you what’s going on in his or her life. Give advice for how to make a better choice in the future. 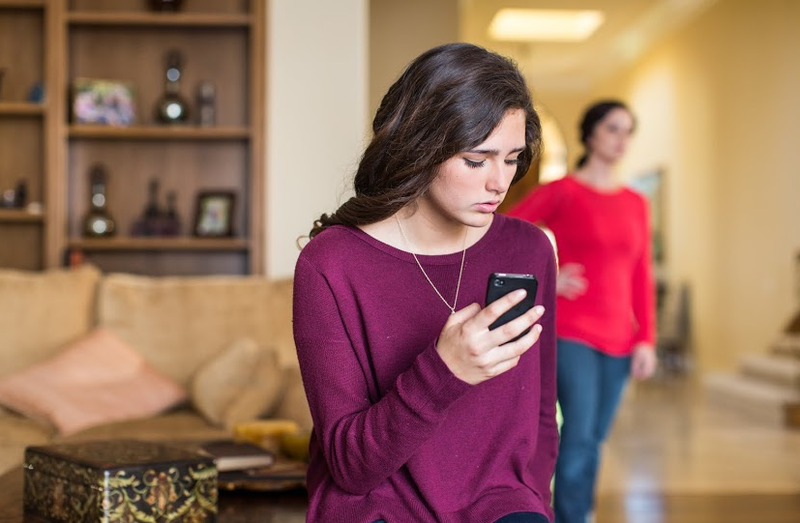 The latter might depend on if the results came back positive for the first time or the fifth, but if your teen can’t stay clean, more consequences might be necessary such as a change of school or rehab. So, I don’t know. I’m collecting all of this information now, listening to parents of teens who’ve gone before me, and investigating all of my options, like Touch&Know. If you are reading this and have tested your teen for drugs, I’d really like to hear what happened next. and most importantly, Touch&Know is for sale at Walgreen’s and doesn’t require you to send any samples back to a lab; you simply test and know. Here’s Touch&Know on Twitter, and on Facebook. Disclosure: This is a sponsored post written on behalf of Touch&Know. All opinions, and references to cheesy ’70s movies are my own. I’ve always been afraid that any drug would kill me instantly. I think that’s a fine personality trait! I’m glad this is a kit. I was a bit afraid that this was going to be more of a dip your pinkie in it kind of post. I would totally test a suspicious looking substance with a science kit. Pinkie test, not so much because adulthood has left me anxious about even Benadryl and cough syrup. I like the idea of a contract and would add alcohol abuse to the contract, too.